April 2, 2012 meant some thing to someone in this world just like any day. It was someone’s birthday or Anniversary, maybe even a day someone lost an important person. But to all geneaologist amateur or professional that day was very important. It was the day the 1940 Census came available for the public to view. We were now able to see new people or in my case see the mommy as a baby. Before the 1940 Census the last person who was born in my family was my Uncle Rob in 1929. He had just made the cut to be on the 1930 census. In 1930 my grandparents and their 5 boys and 3 girls lived at 822 1st Street, NW in Washington, DC. Including my grandmother’s sister and husband there were a total of 12 people living in the same house. 4 adults, two teenagers and the rest children ages ranging from 12yrs old to 1 yrs old. the 1930 census let’s us know how long Jeff and Annie were married by giving us the age of their first marriage. It also tells us where each child was born. This is a big deal because my Aunt Jeannell (affectionately called Mama Nell) said she was born in North Carolina but she wasn’t, instead as you all know from reading other post she was the last of the first six children born in Edgefield. It tells us whether my grandfather owned or rented the house they lived in. He was renting and he paid a whopping $40 a month for rent. With that many people in one house it had to be at the least a six bedroom for $40 a month. We also learn that grand daddy was a truck driver, grand mother was a housekeeper. Uncle Tommy was an Asst. Janitor at church and Uncle John was a paperboy. 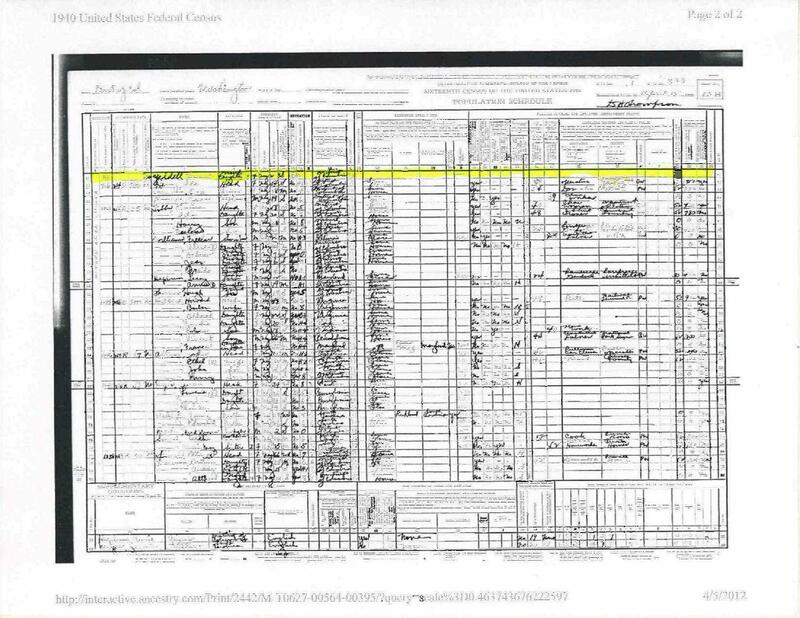 Yes, the 1930 census does its job of taking a snapshot of a person’s or families life. The 1940 Census is different. It tells the address but it also gives the address of where they lived 5 years earlier but doesn’t ask anything about how long or when a couple were married. Below is our family. I have a copy of the original and then a blown up version. In 1940 they lived at 718 13th Street NE he did not own this place either so it was a rental and he paid $43 a month. With the amount of people how many bed rooms definitely went up so of course the rent went up. There is an “X” by grandma’s name that is because she is the one who gave this information. They were living at this same address 5 years earlier in 1935. As for jobs granddaddy and Uncle Buddy were unskilled Laborers. Granddaddy a brick layer Uncle Buddy’s job is hard for me to read. Uncle Tommy was a census taker LOL. Uncle John was not living at home as well as Aunt Sis. So now I get to look them up later. So that is my family. Through the years we continued to grow. Before the 1940 left they added two more grandchildren making the grand total six. Before the new decade came along their children gave them 15 more grands making the grand total of 13 children and 21 grandchildren by 1950. Until Next Time…. Donya, if you will google on inflation calculator, you will bs able to put in those rents and the year and find out what they mean in today’s money. 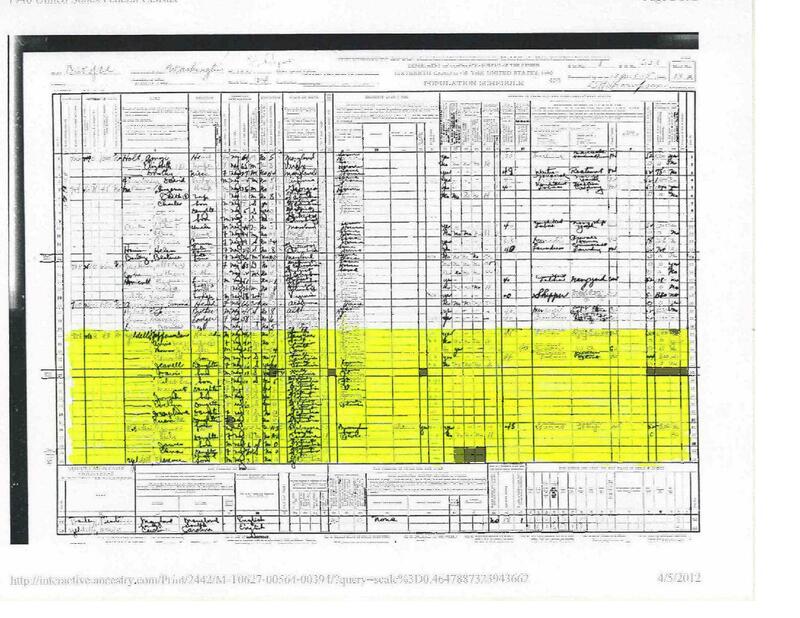 Always remember that census takers did n’t always spell well or ask for clarification if they didn’t hear something well, like the state of birth. Worse, sometimes they guessed at spelling or used the version of a surname they were familiar with. Good work!